CooksRecipes has quality, kitchen-tested recipes for a variety of bacon sandwiches that you can count on for successful deliciousness. 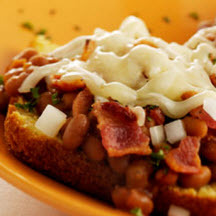 Cornbread squares are topped with hot baked beans, chopped sweet onion, crisp bacon crumbles and melted brick cheese. 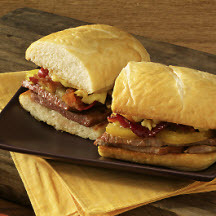 Recipe courtesy of Certified Angus Beef LLC. 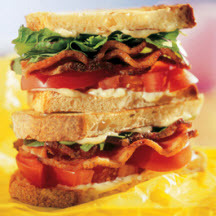 For the ultimate, absolute best-tasting BLT (bacon, lettuce and tomato) sandwich, be sure to use juicy red, vine-ripened tomatoes. Fried Green Tomato and Mozzarella "BLTS"